Are you starting as a blogger in your own niche? Are you bold enough to call yourself a blogger? Have you made quite a few posts for the visitors and for yourself? There are so many questions that rises when you start thinking about making blogging full time. It should be pretty clear that you decided to blog for a reason. May be it is your option to make some money on the other side of having a full time job, or may be you love to help people with the things that you know and wanted to share via a medium. 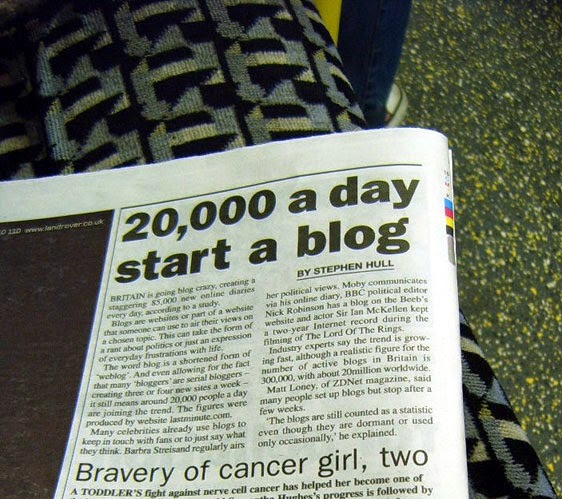 Anyway you've chosen blogging for a reason. It should be obvious that at one point of time you'll start thinking what to write afterall you've written nearly everything that you know, This is the time that you've to evolve your ideas and broaden up your niche circle and start learn new things and then start writing about it . Bloggers are growing in a large number these days and if you consider to reach more readers, then you should seriously think of doing something different that other bloggers couldn't, in a way of speaking you should give a clear impression to your readers what your blog consists of and what they can do if they start reading your blog frequently. In short, your blog should interpret the input that you give and the visitors should be getting the exact output that you wanted. Now below down are some of the tips that you should be knowing before you start your own blog. There are so many benefits of choosing a niche blog. The best part about choosing a niche blog and get successful is the amount of fame that you'll get used to is huge. You'll start to have your own following who wants to learn things from your in your niche. You'll get to meet people who think that you can change their life with what you write. It is always to have a following who hear your words and thoughts. One word of advice from my side where you can get like minded people is 'Twitter',. Yes, this is where you get to easily tweet/connect with people who share same thoughts. This is one important thing that anyone who wants to become a blogger should work on. You should never worry about what you'll get in return for your writing and how you're going to get paid. You should be worried about a lot of other things like, how can you improve your piece of writing, how frequently you should blog, how many ways that you can let people know about your blog. Put in everything that you have., If you're not clear about something, do some researches before blogging on that topic and then start to write about it. Always strive heard to provide legit and useful content to your readers when it comes to blogging. Even before writing this post, I did my research on this topic and found some useful and awesome posts on various blogs and then started writing this post. Blogging is an art which is something that I believe. Getting your readers is more important as much as you have the content in your blog for the readers to roam frequently on your blog, Frequent writing is more important than anything for the growth of your blog. Technically speaking, Google indexes fresh blogs (in the sense the blogs that is updated frequently) more often than those that are not updated for a long time. Getting your post on the first page of the google search results is as much important as providing your readers valuable content once they click on your post link. Blogging can be very different when you start to blog with passion and not just for money. Frequent blogging keeps visitors to your blog all the time. You'll start to enjoy every part of blogging and getting back responses. Now do let me know what are the things that you think anyone should know before starting a blog in your comments.